MOORE Energy is a Norwegian oil and gas company with its main office in Oslo, operating two subsidiaries in France and one subsidiary in the USA. MOORE is in process of developing a portfolio of direct working interests in conventional oil and gas leases onshore USA, with a first class local operating partner. MOORE owns 25% working interests in the Robertson Deats C lease producing oil and gas from the Lower Caddo formation at 4,700 feet depth, and 20% working interests in the Bright lease producing oil and gas from the Marble Falls formation at 4,300 feet depth, both located in the Jack county located in the oil and gas rich Bend Arch - Fort Worth Basin Province west of Dallas, and both operated by our local partner who owns and operates more than a hundred oil and gas wells within four counties. MOORE owns 55% of Millennium Geo-Venture (MGV) and indirectly holds a net 30% working interest in the Soufflenheim license, comprising sizeable prospects in the Triassic and former producing oil fields operated by Prepa (Elf) until 1968. MGV is the operator of the license. Through its wholly owned subsidiary Bluebach Ressources (Bluebach) MOORE holds a 50% working interest in the Seebach license located next to the Soufflenheim license and a 100% working interest in the Herbsheim license south of Soufflenheim. Bluebach is the operator of both licenses. By the end of 2016 Bluebach entered into a farm-out agreement for Seebach with Vermilion REP, a wholly owned subsidiary of Vermilion Energy Inc, a Calgary based international oil and gas producer. As part of the farm-out agreement Vermilion has acquired a 2D seismic survey during summer 2017 aiming to improve the imaging of a prospect in the Triassic which is home to the Speyer/Römerberg 60 mmbbl recoverable oil field located in Germany, approximately 50 km to the North of the license. Vermilion plans to drill a well to the Triassic during the present validity period of the license, in return of working interests from Bluebach. MOORE's management comprises professionals with more than 30 years' experience in average from the oil and gas industry, including reputable and experienced board of directors and advisory board. The company has developed local in depth technical and administrative knowledge in France since 2005 when it started its activity related to the Soufflenheim license and has teamed up with a reputable partner in Texas with local expertise. 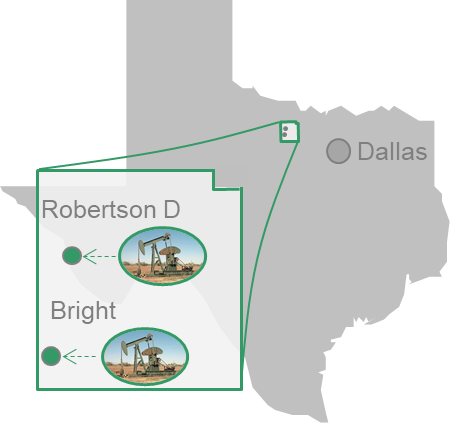 Based on its current activity MOORE is developing as a full cycle E&P company with main focus on basins where hydrocarbons have already been found and produced. 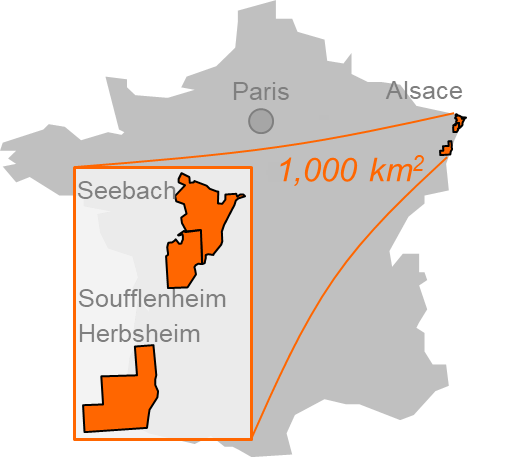 France has been an oil and gas nation with oil production since the 19th century with industrial production from the Pechelbronn concession located next to Seebach and Soufflenheim licenses, peaking at 67,000 barrels per day in 1988. The oil regions in the mainland France are the Paris Basin, the Aquitaine Basin and Alsace (where companies like CGG and Schlumberger were founded and developed in the late 1920s, early 1930s).The country represents a stable regime with low political risk, favourable fiscal terms and extensive seismic data and well log data publicly available. Refinery capacity is available close to producing areas. The three main producers in France in 2016 were Vermillion, Lundin and Geopetrol. In January 2012 Total divested parts of its French oil production to Vermillion and Geopetrol, strengthening Vermillion’s position as the largest oil producer by far. Both Geopetrol and Oelweg have producing concessions within the Seebach license area – one of MOORE’s licenses. Exploration licenses are granted exclusively for an initial period of 3-5 years and are renewable twice with the same duration against partial relinquishment of land and with the same financial commitments, provided that financial commitments are achieved each period. The license implies an exclusive right to convert commercial discoveries into production concessions. Concessions are initially valid for up to 50 years and are renewable in periods of 25 years. A bill has been proposed by the government in September 2017 according to which there should be no new exploration licenses. Drilling an exploration well within an exploration license in France requires an order delivered by the head of the department where the well is planned. In addition to the technical description of the well, the application includes an environmental impact study and a public enquiry.